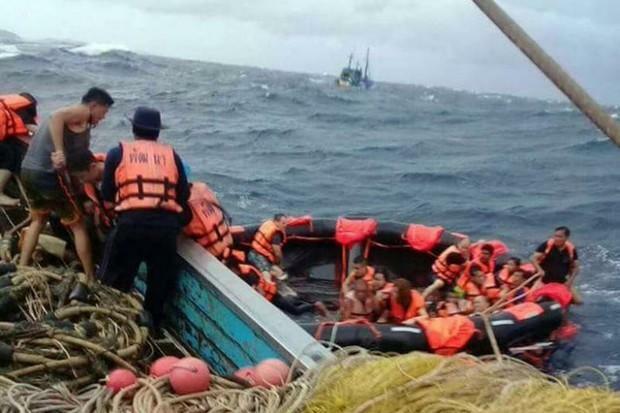 Strong winds were still blowing as searchers looked for the missing in the Andaman Sea off the tourist island of Phuket late Thursday. Phuket Governor Norraphat Plodthong said 48 passengers were rescued from the boat, with 49 unaccounted for. A police official had earlier said 90 people had been rescued and just seven were missing. A second boat also overturned off Phuket on Thursday afternoon, but officials said the 39 Chinese and European tourists forced to abandon that boat were rescued. Severe weather is forecast in the area until next Tuesday.